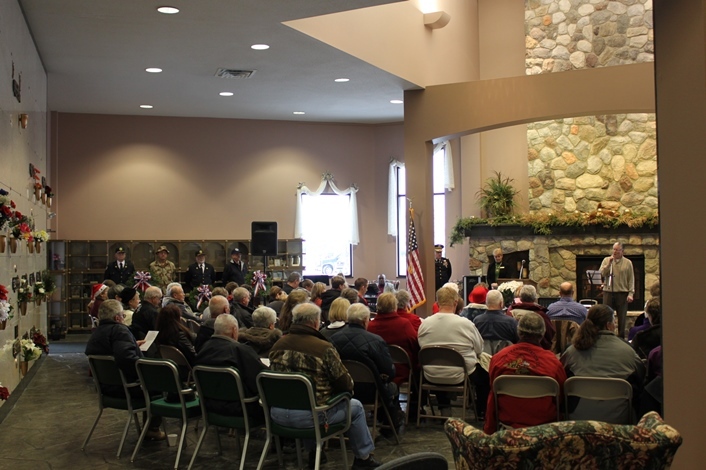 Here are some images from our 2013 Holiday Memorial Service at Sunset Memorial Gardens in Aberdeen SD. If you’d like to participate in or reminded of this event in the future, call us at (605) 225-5361 or email us today and we’ll add you to our list. 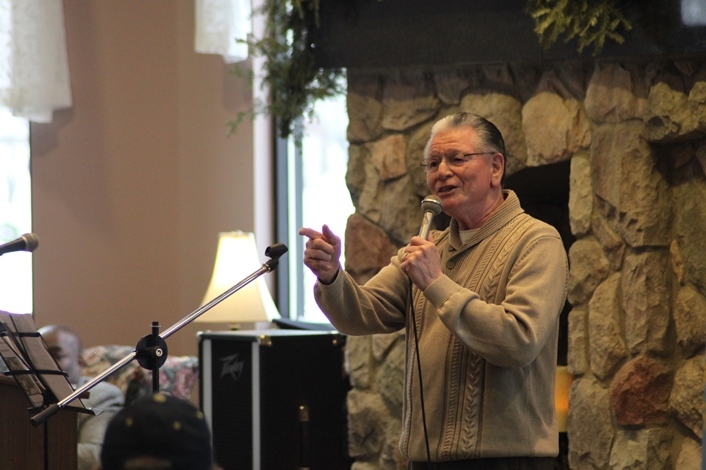 Musical guest, Hank Bowker performing. Overview of Holiday Service during final song. 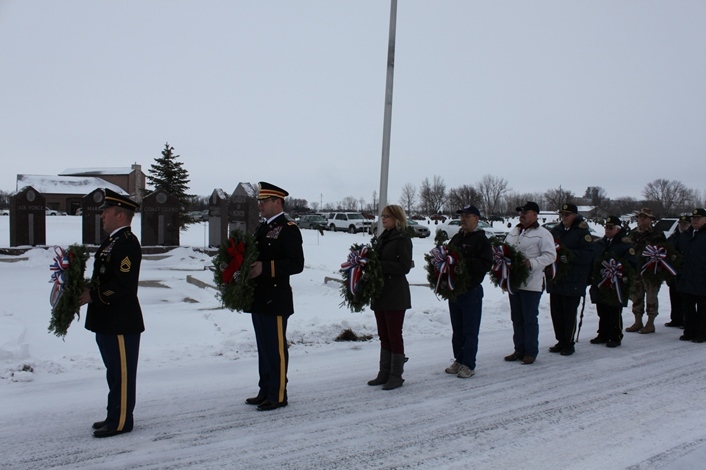 Veterans can be seen standing beside their wreaths which will be placed on the Veteran’s Memorial at the cemeteries entrances. Rev. 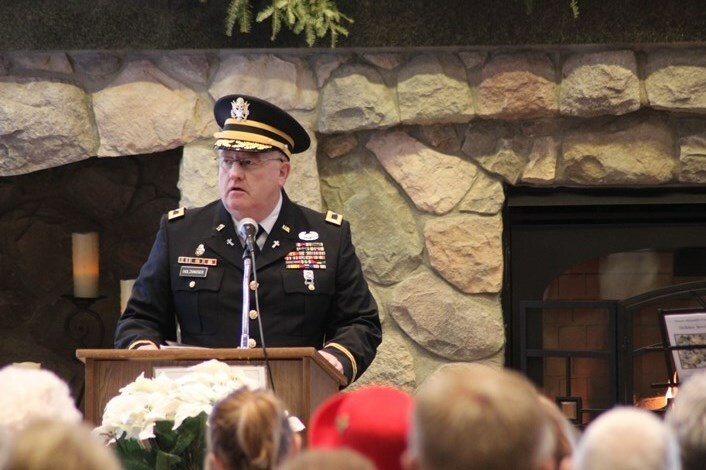 (Col.) Joe Holzhauser of St. Mary’s Catholic Church is giving a special holiday message of hope. Sgt. 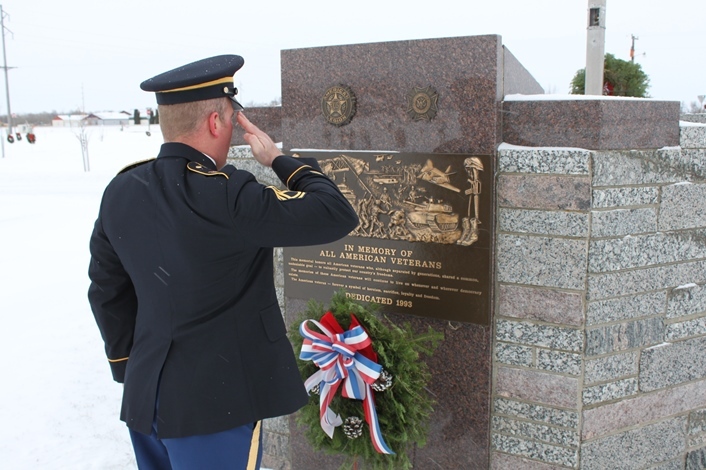 1st Class Aaron Walberg, National Guards, salutes the Veterans memorial after placing a wreath in honor of all veterans. Veterans representing the Army, Navy, Air Force, Marines, Coast Guard, Merchant Marines, National Guard and all Veterans, carry wreaths to be placed at the 2 Veterans Monuments at the Cemetery.